Nepal is full of color. 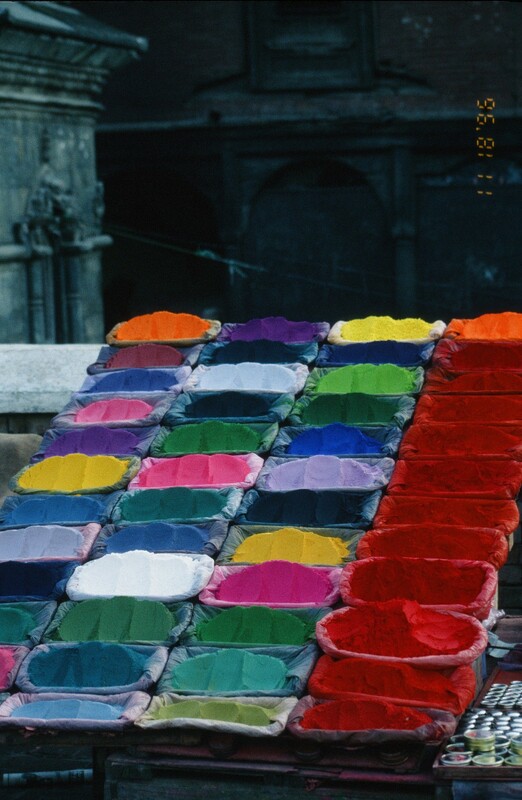 The marketplace features food, wares, and as seen here, the dyes used to color fabric, yarn, and thread. The multi-colored textiles are used to make beautiful traditional Nepalese clothing.